The artificial intelligence (AI) arena is growing at rapid speed with dramatic changes and poses profound implications on the society. The rapid growth of AI is contributing to the creation of new services, as well as is enhancing products already on the market. The rising demand for machine learning is another aspect boosting the demand for powerful high-performance computing hardware. The emergence of AI is becoming the key game changer for data centers. 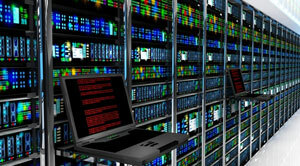 Various reports suggest that the rise of AI applications will drive demand for data center space, and have design implications for how high-density racks are powered and cooled. AI can be used to monitor backup generators, to reduce the risk of data center outages. AI’s role in data centers today are not just limited to optimizing the availability by predicting the future application behavior, but also in moving workloads across data centers based on future power, thermal or IT equipment behavior. It also enables energy usage optimization by managing the numerous types of cooling, with utmost precision. Moreover, AI provides an ideal mechanism for managing different cooling systems without any conflict by delivering continual feedback with the help of optimization algorithms. The growing trends reflect the fact that AI and robotics will manage the data centers of the future.